In-ground irrigation systems can be a huge convenience in helping to keep the grass and plants on your property hydrated and healthy. 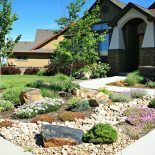 Depending on how sophisticated your sprinkler system may be, you can easily water your yard at the simple touch of a button, possibly even setting a timer for automatic waterings. But what happens when something goes wrong? A broken irrigation system isn’t very convenient! That’s when you need expert sprinkler repair from the pros at Showcase Landscape & Irrigation. Obstructions and leaks in your underground sprinkler lines can be potentially damaging to your yard and your plumbing, especially if you have no way of locating the problem. With Showcase here to help, you won’t have to dig up your yard to find it. We perform sprinkler system blowouts to remove all obstructions, and have experience in detecting leaks through testing and deduction. Our team is friendly, reliable, and ready to help you with any sprinkler repair issues you may be facing. Don’t let damaged or outdated irrigation systems keep you from taking care of your yard for another season. With sprinkler repair from Showcase available in the Greeley, Loveland, and Fort Collins areas, you’ll be able to start that garden, enhance the lushness of your lawn, and finally have the home landscape of your dreams. 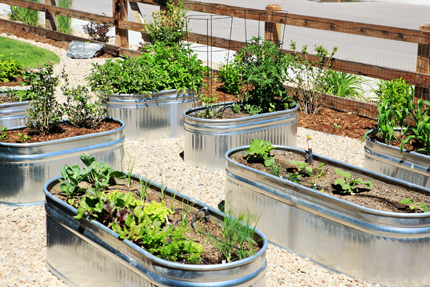 A well-functioning home irrigation system can go a long way in making it all a reality. Through installation, maintenance, and repair of your home sprinkler system, Showcase can help keep your yard looking great. Contact us today! Showcase Landscape is locally owned and operated. 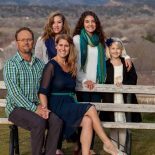 We service Loveland, Fort Collins and surrounding areas. 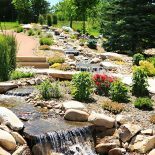 Showcase Landscaping specializes in developing high quality and sustainable landscape design plans. Your Loveland landscaping and irrigation specialists. We are experts in everything from landscape design and more. 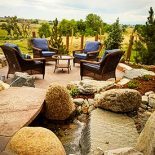 Learn more about why Showcase Landscaping is a preferred landscaping company in Loveland! Take a look at some of the projects we have completed, from landscaping to patio work and more. Ready for us to help with your landscaping project? Give us a call and get started today!